Big bags are industrial containers made of flexible fabric that is designed for storing and transporting bulk goods. 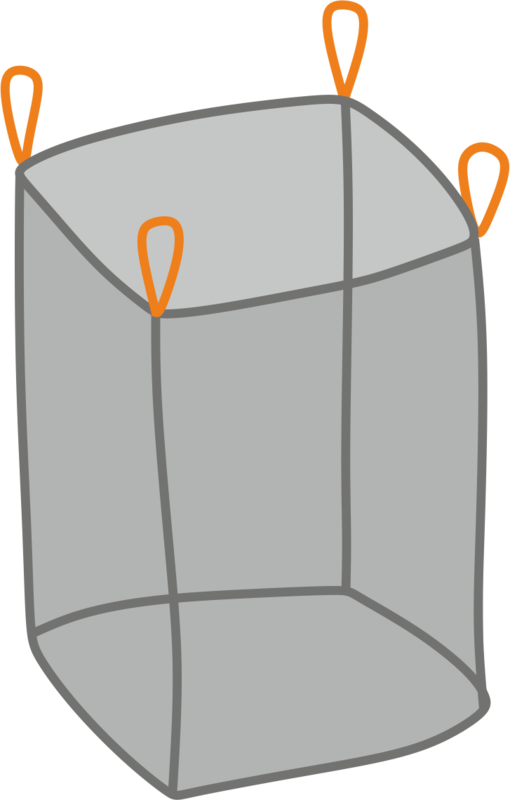 They serve as an ecological packaging for transport while maintaining a large economic advantage in comparison with other types of packaging. 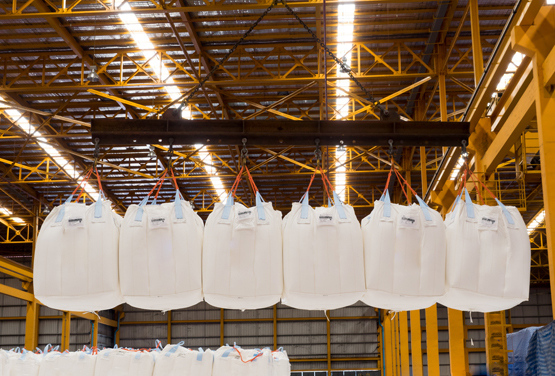 Big-bags are an excellent packaging for both dry and flowable materials and aggregates, through many agricultural and food products, to the most sophisticated chemical ones. The simplicity of their loading, ease of transport and efficient discharge causes that the big bag has become a very commonly used packaging. The variety of big-bag sacks and the ability to adapt to individual packaging, transport and unloading conditions put this type of packaging first among packaging used in industry. 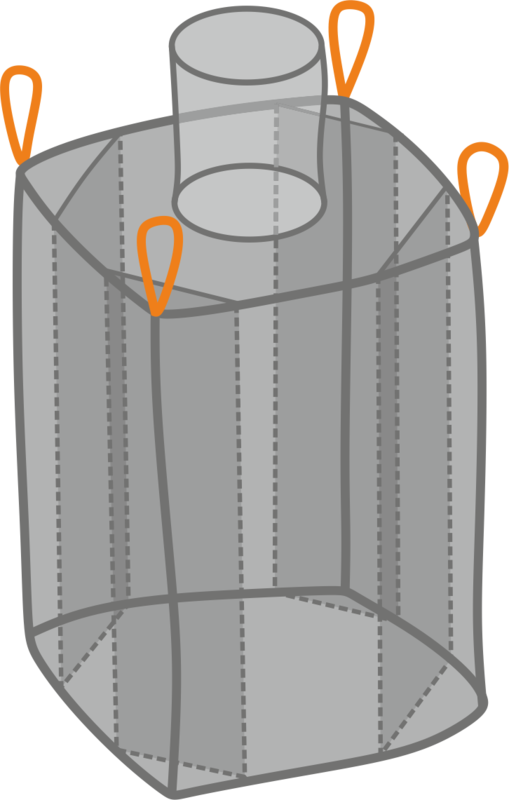 Open construction bags are used to pack goods that do not require special insulation from weather conditions. They are commonly used for packing non-dusty products, mainly building materials such as paving stones, sands and construction rubble. This construction allows tight packaging of goods and its separation from atmospheric conditions. Mainly made as sacks with hopper and closed flat bottom. The hopper may have different dimensions (length and diameter) depending on the customers needs. Used for tight packaging and separation from atmospheric conditions with simultaneous simplicity of emptying without destroying the content. This is possible thanks to the discharge funnel sewn into the bottom of the big bag. They are mainly made as bags with a hopperat the top and bottom. Both hoppers’ dimensions can be adjusted depending on the needs. Conical bottom construction allow for tight packaging of the goods with the simultaneous simplicity of emptying materials, which is possible thanks to the conical construction of the bottom passing into the discharge funnel. 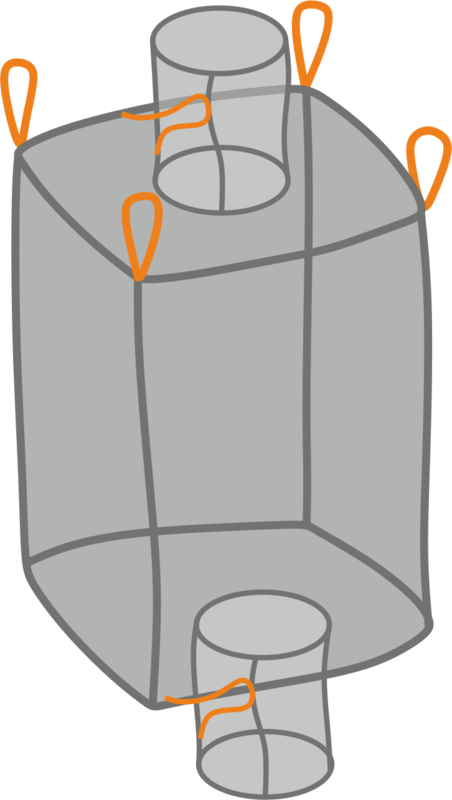 Bags with an internal structure that allows to keep the cubic shape of the bag and high stability during material transport. The cubic shape of the load and stability allows precise determination and use of the cargo space with a high equipoise of the goods on the pallet. This type of packaging is particulary important for sea, air and distance transports. 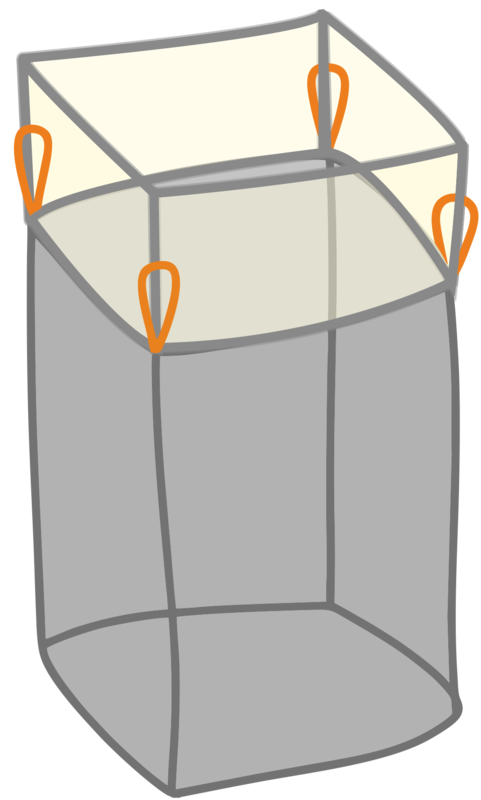 Sacks with this type of construction allows for sealing the goods and separating . from the atmospheric conditions by closing them from above. Mainly made for easy backfilling with simple packaging devices, regardless of the chute diameter of the packaging machine.. The charging apron can have different heights depending on the customer's needs.